When photographer Stephen Gill slipped a disc carrying heavy photographic equipment ten years ago, he had no idea what the outcome would be. 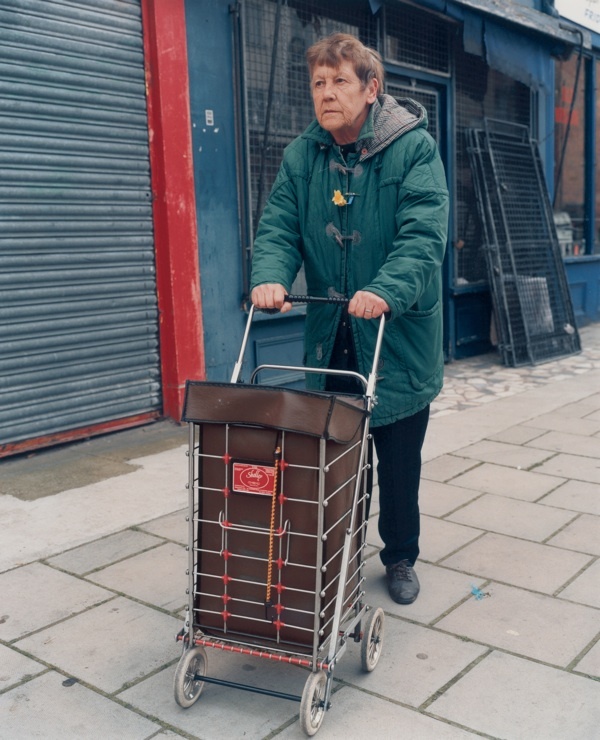 The physiotherapist advised him to buy a trolley for all his kit, and the world became different for Stephen – not only was his injured back able to recover but he found himself part of a select group of society, those who wheel trolleys around. And for someone with a creative imagination, like Stephen, this shift in perspective became the inspiration for a whole new vein of work, manifest in the fine East End Trolley Portraits you see here today. 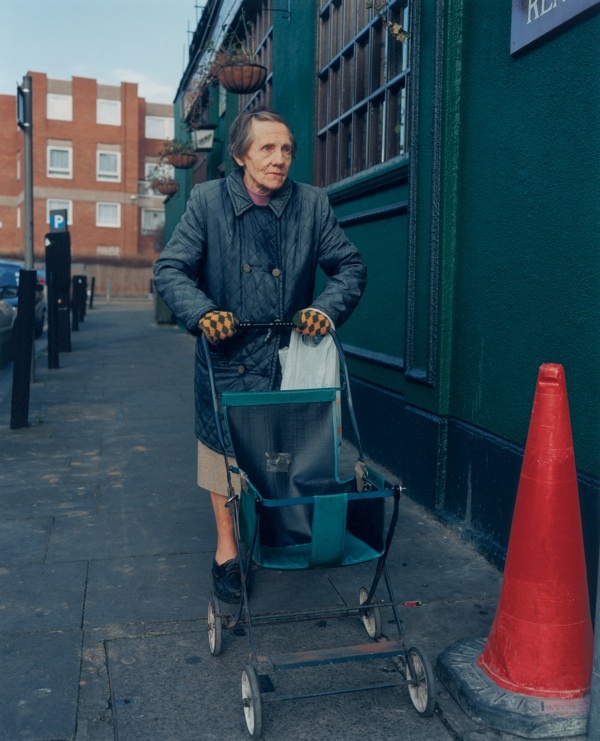 Included now within the camaraderie of those who wheel trolleys – mostly women – Stephen learnt the significance of these humble devices as instruments of mobility, offering dominion of the pavement to their owners and permitting an independence which might otherwise be denied. 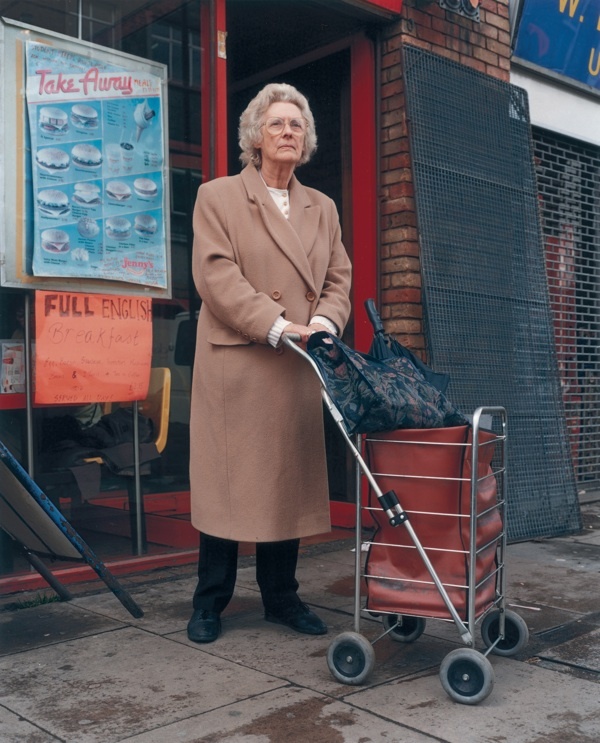 More than this, Stephen found that the trolley as we know it was invented here in the East End, at Sholley Trolleys – a family business which started in the Roman Rd and is now based outside Clacton, they have been manufacturing trolleys for over thirty years. In particular, the rich palette of Stephen Gill’s dignified portraits appeals to me, veritable symphonies of deep red and blue. 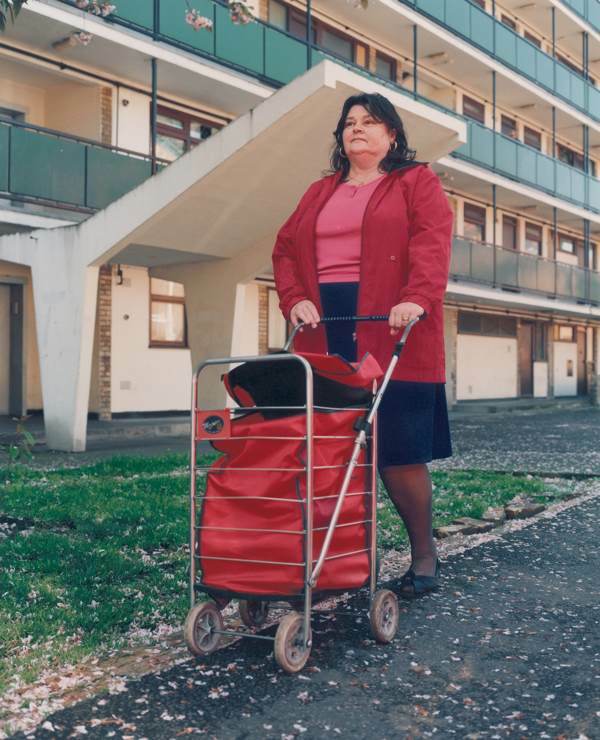 Commonly, people choose their preferred colour of trolley and then co-ordinate or contrast their outfits to striking effect. 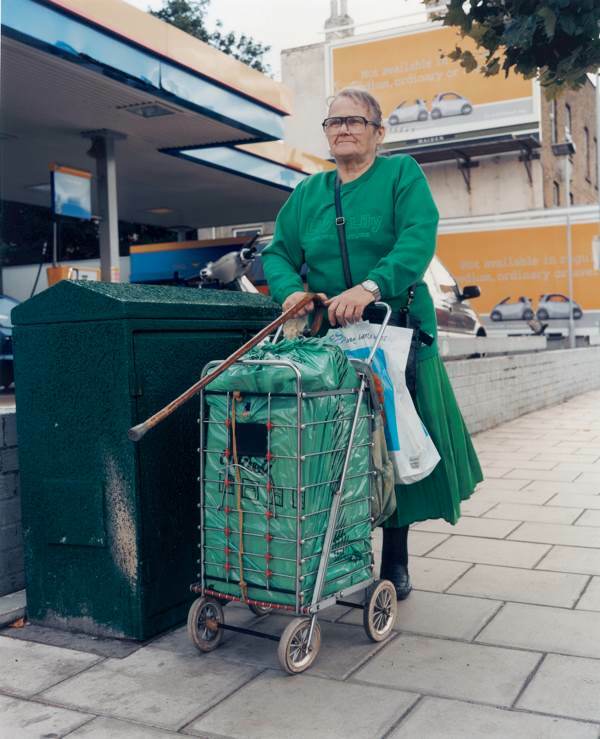 All these individuals seem especially at home in their environment and, in many cases – such as the trolley lady outside Trinity Green in Whitechapel, pictured above – the colours of their clothing and their trolleys harmonise so beautifully with their surroundings, it is as if they are themselves extensions of the urban landscape. 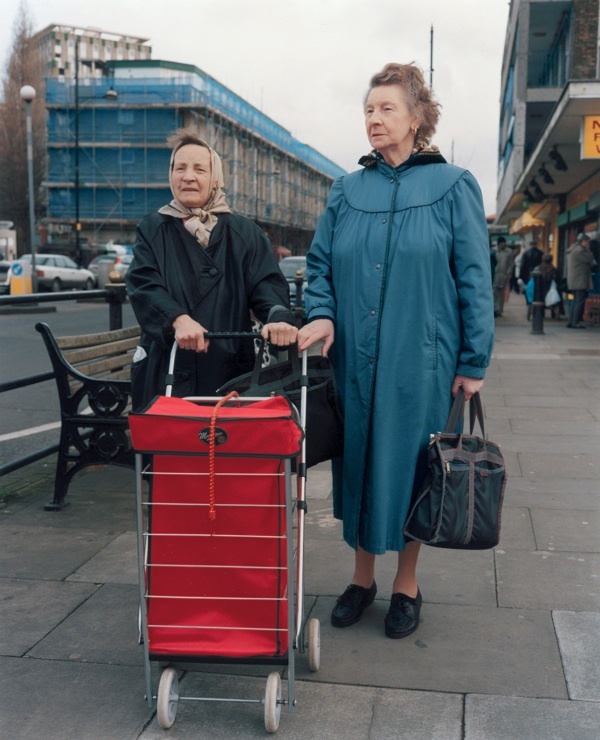 Observe the hauteur of these noble women, how they grasp the handles of their trolleys with such a firm grip, indicating the strength of their connection to the world. Like eighteenth century aristocrats painted by Gainsborough, these women claim their right to existence and take possession of the place they inhabit with unquestionable authority. Monumental in stature, sentinels wheeling their trolleys through our streets, they are the spiritual guardians of the territory. Trolly Dollies. Brilliant. 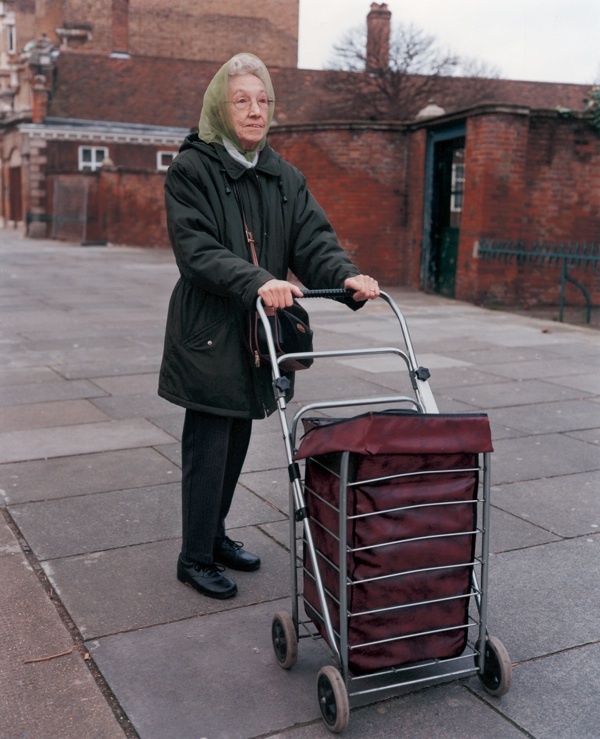 Trollies are a boon for the back for pedestrians with shopping. These pedestrians are usually but not exclusively female. At work we have plastic trucks or baskets in which we transport students’ work, handouts and booklets. This helps when we teach in classrooms scattered about a biggish college. 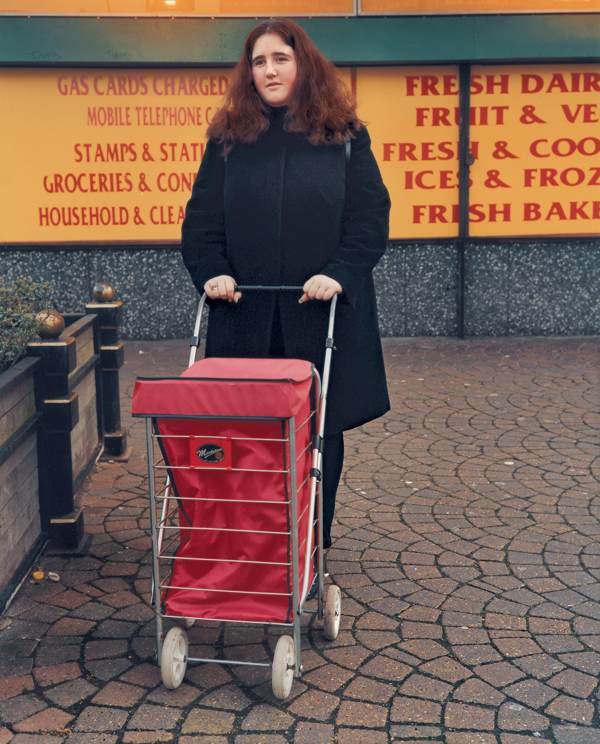 As with shopping trollies, it is mainly female staff pulling their red or blue plastic carrying boxes behind them. I wonder sometimes how my male colleagues manage to travel so light. The lady wearing racing gloves appears to have forgotten something. I like the distant gaze most of them seem to be wearing – as if they’re modelling for a trolley catalogue. I love this story . 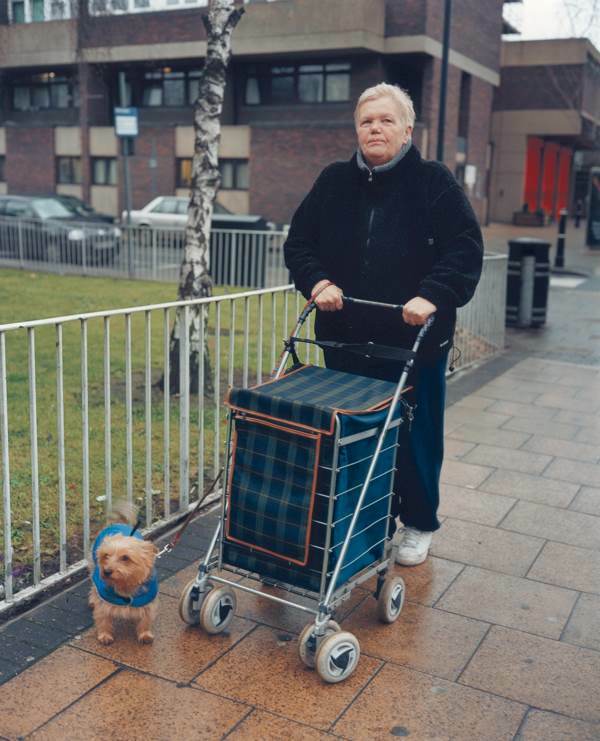 These Trollies are so important in allowing people who are a bit wobbly and who may not go out much otherwise to be out and about without losing their pride by using a wheeled frame. 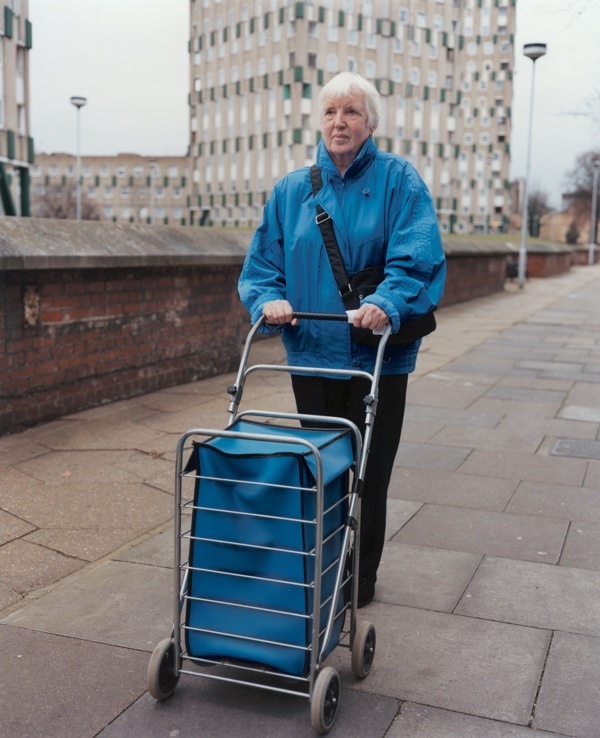 I work as a physiotherapist and I often advise people who have had falls or near misses to get a trolley . Falls are devastating fro people sense of confidence and safety . Many a time I have visited people at home who have given up a great deal because they are to afraid to go out in case they fall. Thank god fro the humble trolley ! I love these photographs. 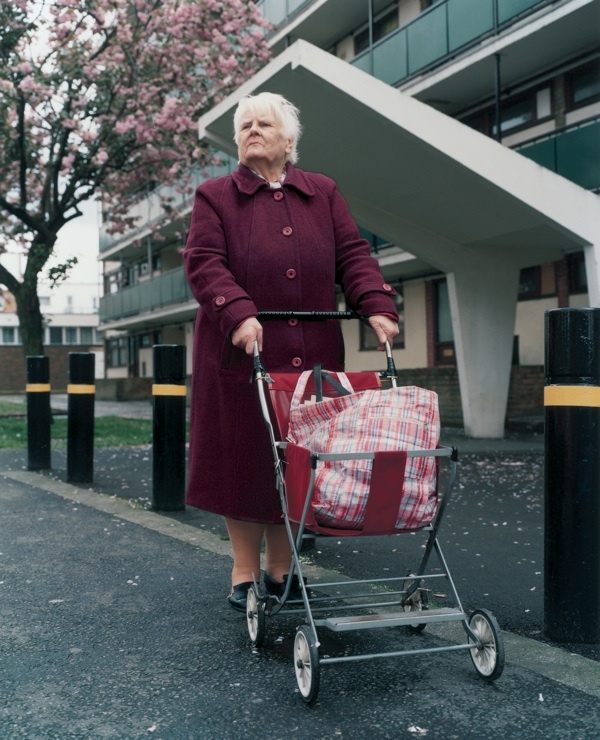 Thanks for celebrating the ‘trolley Women’. I like the two ladies who have used pushchairs as their shopping trolley. Great way of recycling. Dear GA. I love this post which reminds me that blokes also find shopping trolleys useful. As your erstwhile pupil you may remember that I did feature my own, Bobby2 in a blog, together with the amazing spectacle of two trolley ladies on a train hiding a seventeen foot python in one………https://www.mindfullybertie.org.uk/the-story-of-bobby-2/. As you say guardians of the territory! “Like eighteenth century aristocrats painted by Gainsborough, these women claim their right to existence and take possession of the place they inhabit with unquestionable authority.” I LOVE this remark. Thank you for this story and pics. Delightful images. 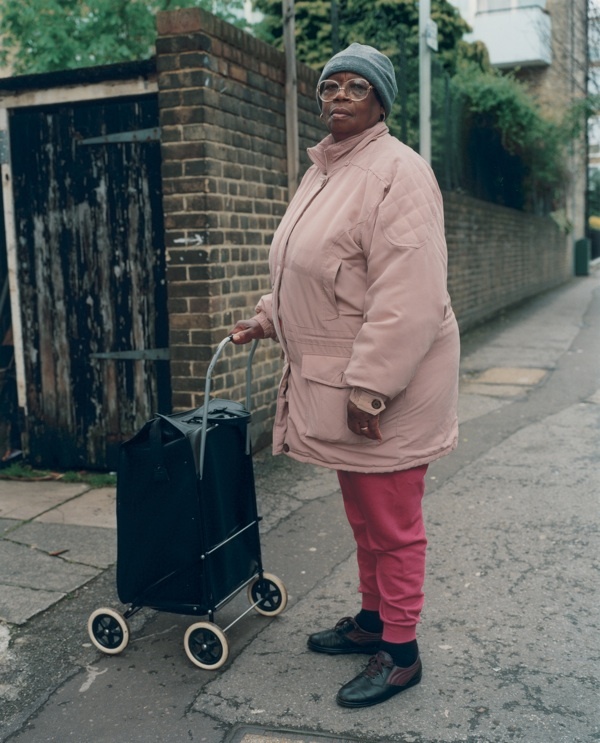 Stephen Gill has a great eye for angle, enhancing the stoic and noble air of these women. Your amusing but erudite thoughts, GA, also brighted a dull day. Thank you.